This (Barbie Doll Clothes #) is a trendy little fashion statement is certain to give your Barbie doll clothes or any fashion doll outfits the look she needs. It is chic and yet simple and something they are going to love putting on her. Best of all it is something that you can do right from your own home, while on a budget for less than most outfits cost. 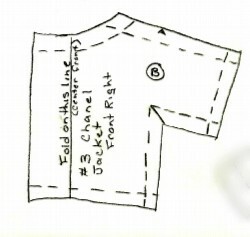 Think about what material you would use for the Chanel Jacket that you are preparing to sew. It will need to be something that stands out and looks great. For a unique look, consider using wool or even possibly tweed in the design. While designing take into account what the skirt and blouse will look like that will be matched to it. If you have a number of dolls to design fashions for, consider making different variations for each. You can glue a tiny broach on one, and add sparkle to another one. These patterns are open for interpretation, so consider all the possibilities you have and make a whole new doll wardrobe that fits the style you are looking for. Even better, if you have a little girl in your life that loves Barbie doll clothes, you can make sure that for Christmas or her birthday no one gives her the gift that you can. 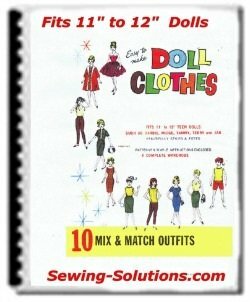 Use this pattern to create some new Barbie doll clothes and watch as her eyes light up. She'll certainly appreciate it and thank you for the special gift. 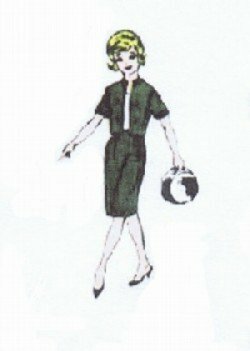 Mothers could also enjoy teaching their daughters to sew with this jacket pattern. Take advantage of this perfect bonding experience by allowing her to pick out the fabric and teaching her the art of sewing. You might find she enjoys it and the two of you can then tackle making a life size outfit for her to wear next. 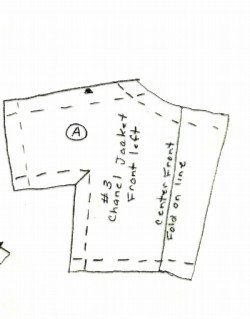 I hope you can see all the possibilities this Chanel Jacket pattern can offer you. Remember to focus on material that interests you, and give it a personal touch that will bring a smile to everyone's face that sees it. 1 – Cut 1 jacket back right, 1 jacket back right, 1 jacket front left and 1 jacket front right. 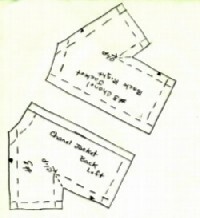 6 – Turn jacket front facing to outside and sew at neck. Turn to inside and now hem the raw neck edge. 7 – Turn and hem all raw edges.